CHICAGO (June 11, 2018) -- Chicago-based metaMe Health has announced the appointment of Charlie Baum, MD, MS, FACG, as its Chief Medical Officer (CMO). metaMe provides Irritable Bowel Syndrome (IBS) sufferers with a clinically-proven therapy delivered through its flagship digital therapeutic for IBS Regulora™. Dr. Baum is a board-certified Gastroenterologist and Physician Nutrition Specialist with more than 30 years of experience in healthcare. He has led clinical and basic science research in academia, and held executive positions in the pharmaceutical industry and more recently digital health sector. 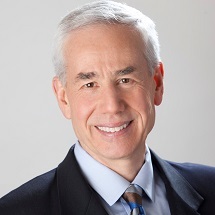 Dr. Baum is a graduate of the University of Chicago, where he also earned his medical degree and a master’s degree in nutrition. Located in Chicago’s premier healthcare incubator MATTER, metaMe Health was created to help the more than 30 million Americans obtain much-needed relief from IBS. Instead of drugs, which treat only the gut symptoms, the company provides relief through a standardized Brain-Gut therapy approach that has been clinically proven to be effective in treating IBS. Patients access Regulora™ through the company’s HIPAA (health privacy)-compliant platform, metaMe Connect.